For 35 years, Okizu has been committed to the continuing support of the Oncology, Siblings, Family, Bereavement, and Teens-N-Twenties programs. These programs are the result of a collaborative effort between Okizu and the pediatric oncology treatment centers in Northern California. 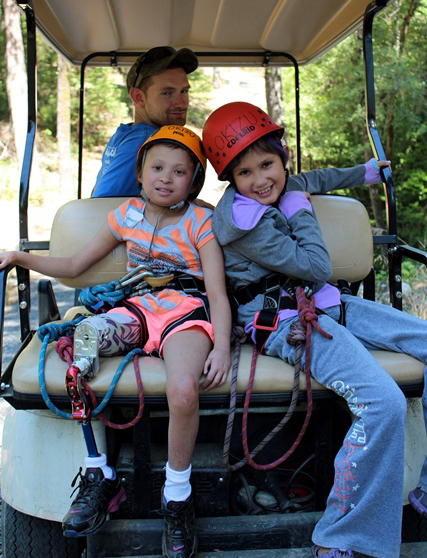 The specific purpose of Okizu is to operate peer support programs for children and families affected by childhood cancer, many of which are based on the community-forming nature of a residential camp experience. Okizu is more than a summer camp. We work with all of our partners, from volunteers to national medical institutions, to reach and support those we serve, all year-round, and whenever we are needed. Make a donation today to help send kids like this to Camp Okizu. $1,000 sends one child to camp for a week. $300 sends one person to Family Camp for a weekend. $100 is the cost of food for one camper. $50 provides bus transportation to camp. 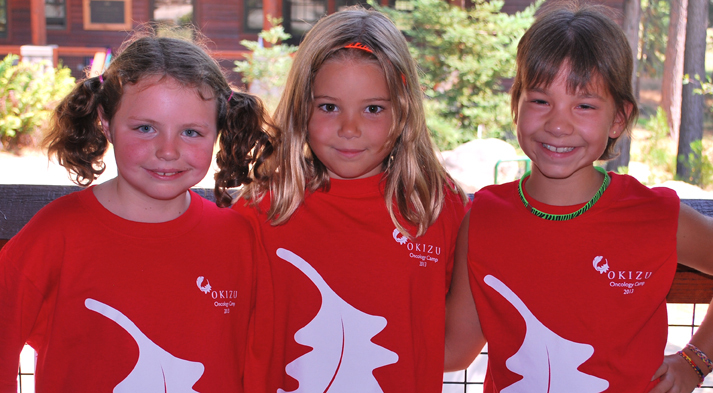 Gifts of any size bring the magic of Okizu to our campers! Please make checks payable to Okizu and mail to Okizu at 16 Digital Drive, Suite 130, Novato, CA 94949. Call 415.382.9083 to make a donation over the phone.